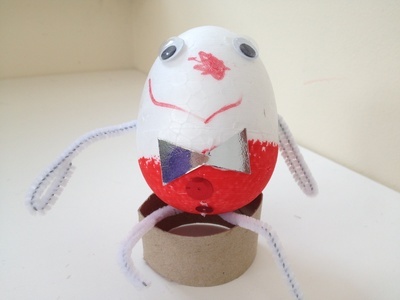 This is a simple Humpty Dumpty craft for preschoolers but one that they'll be proud of showing off. I know my son was. 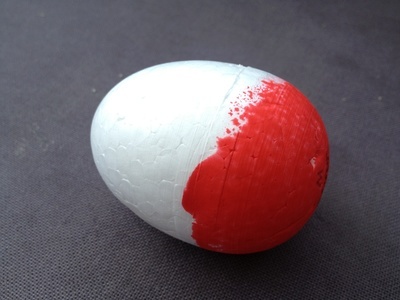 Paint the bottom of the egg in your favourite colour. When dry, draw on a smile, nose and stick on some googly eyes. Decorate with any scraps or bits and pieces you have. 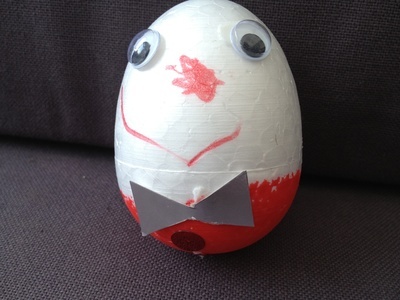 We made a little bow tie and stuck on sequins for buttons. 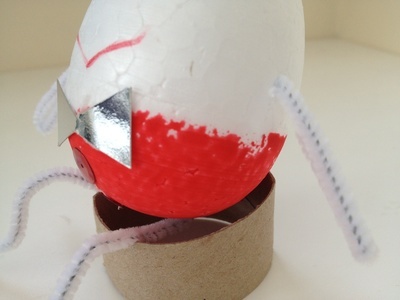 The egg is soft so it's easy to push in pipe cleaners for arms and legs. Cut a smal section of toilet roll for a seat.